Vegfest – making a difference in all kinds of ways! While many people may be familiar with the great food samples at Seattle Vegfest, our expert MD’s, health screenings, chefs, and the children’s program, there’s more to Vegfest than that. One of the most important needs for many would-be vegetarians is access to high quality vegetarian food in mainstream markets. For many years that just wasn’t available. But now Vegfest is doing its part to change the situation. Last year we had our first mainstream retailer, Fred Meyer, sponsor Vegfest. They wanted to learn more about the different vegetarian foods, and the people who buy them, and we were thrilled to help. They even sent their employees to Vegfest so they could learn about it from us first hand. Do you wish there were even more different kinds of vegetarian food available? We do too, and Vegfest does its part in making that happen. Every year, several new startups come to Vegfest hoping to get their first boost. 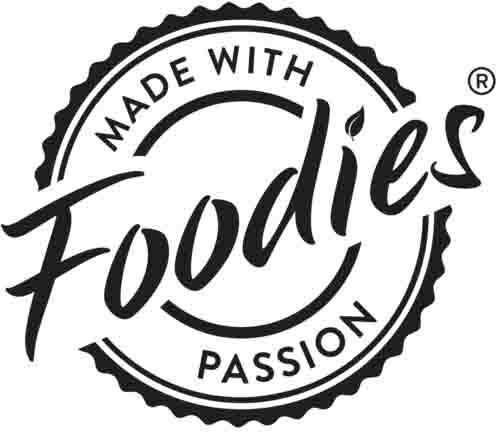 For instance, a new family-owned business, Five Star Foodies, will be flying in from Ohio to participate in our Vegfest. Closer to home, Fauxmage, a new dairy-free startup “cheese” company, will be receiving its first big boost from Vegfest too. You may have also noticed a lot of young people volunteering at Vegfest, mostly high school and college students. Many, if not most, are not yet vegetarians, but almost all of them are what we call “veg-curious”. Now, that’s a curiosity we want to encourage! 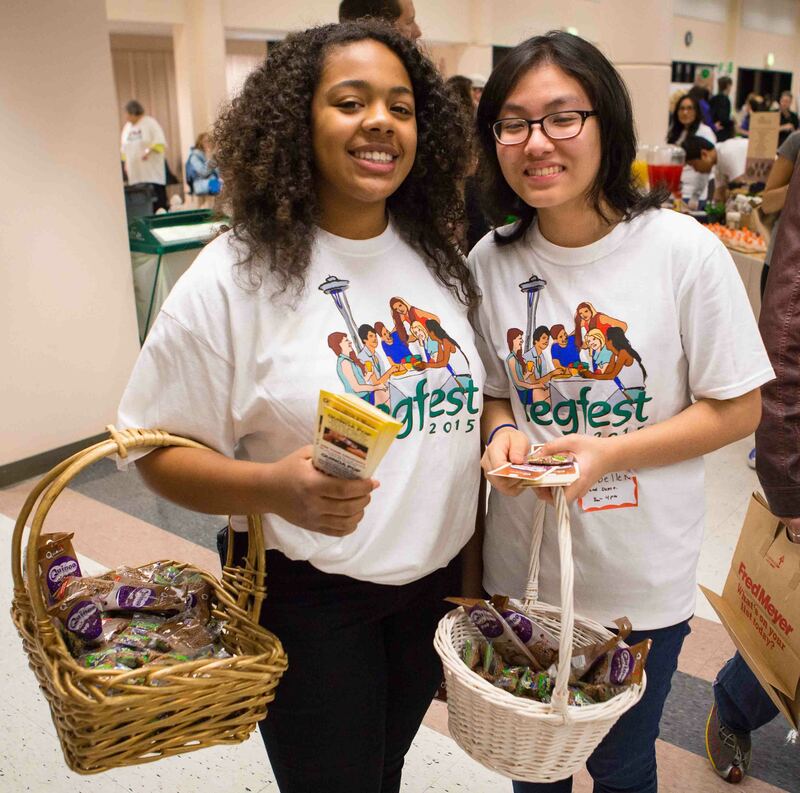 By volunteering at Vegfest, these young people learn about all things vegetarian, while working to make the event a success. Almost as important, these veg-curious young people see not only all the adults at Vegfest, but lots of other young people, wearing Vegfest T-shirts, just like them! Eating vegetarian is eating green, and Vegfest helps that too. For instance, for the third year running, the many environmental advantages of a vegetarian diet will be broadcast as part of the Greentivities series on KJAQ 96.5 FM. Look also for our newly revised Eating Green brochure at Vegfest.